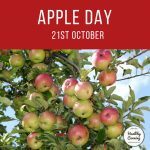 Apple Day is celebrated every October in England. 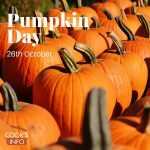 Events are held at orchards and garden nurseries around the country, from apple bobbing to apple peeling contests. 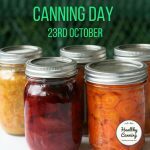 To be fair, there is actually no fixed agreement on when Canning Day actually is. 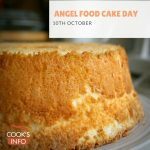 Some people celebrate it around the third week of November, just before American Thanksgiving. 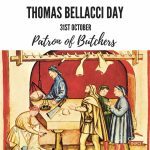 Thomas Bellacci (aka Thomas of Florence, 1370 to 1447 AD), a patron of butchers, was a butcher's son. He was born in Florence, Italy, of parents who came from Castello di Linari in Val d'Elsa.